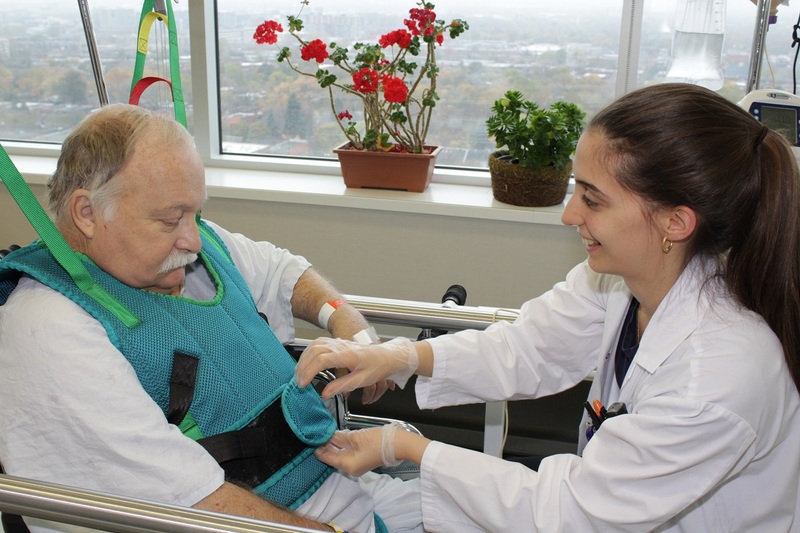 Members of the acute-care team providing therapy to stroke patient in the rehabilitation room at the JGH, from left: Occupational Therapist Lauren Silver; patient Donald Cummings; Physiotherapists Lisa Ricci and Reshmi Susan Varghese. This article is the first in a series following the launch of the Neuroscience IPU. 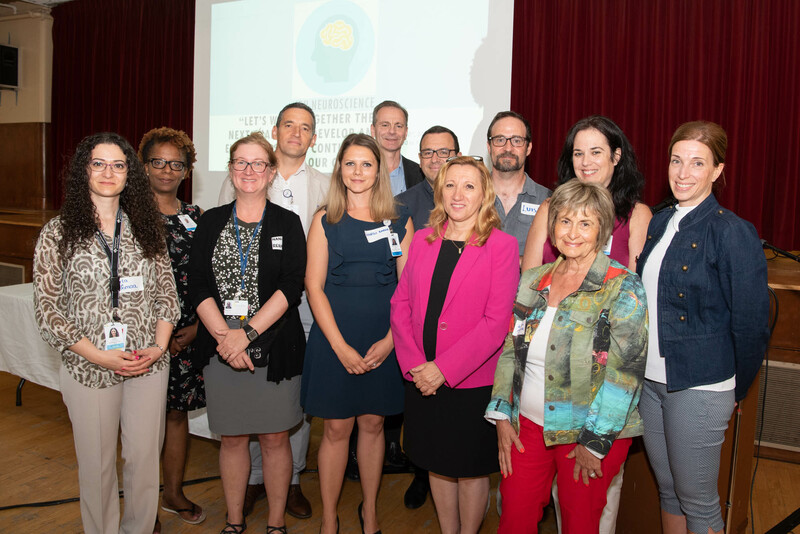 Staff who specialize in stroke care from across the CIUSSS have come together to form a single inter-disciplinary team to provide stroke survivors with timely, customized care. The danger had passed: the stroke patient was stabilized. In the era before the CIUSSS was formed, each stage of a stroke patient’s recovery was handled by a different group of specialists. No matter that each of these teams—whether in a hospital Emergency Department, on a dedicated stroke unit, in a rehabilitation facility, or even back in the patient’s home—was providing top notch care. Once the patient was ready to transition to the next phase in their therapy, all too often they had little idea who, or what, awaited them. Because in all too many cases, neither did the team that was discharging them. Today the situation is much improved, thanks to the development of the Neuroscience Integrated Practice Unit (IPU) specifically targeting stroke care, which launched this summer. 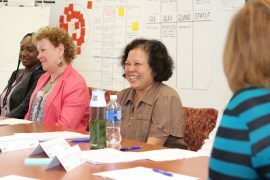 Pictured at the launch of the Stroke IPU on June 20, front row, from left: K10 Head Nurse Carla Jomaa; Nancy Cox, the Rehabilitation Coordinator for Constance-Lethbridge Rehabilitation Centre and Richardson Hospital; Interim Nursing Clinical Consultant in Neuroscience Malgorzata Karna, CIUSSS Director of Rehabilitation Felicia Guarna and patient representative Wilma Mashal. Rear row, from left: Innovation Team Administration Process Specialist Emmanuela Deloge; Dominic Labranche, Neuroscience Associate Nursing Director; Dr. Jeffrey Minuk; Dr. Frederic Miseri; patient representative Luis Rivas; Associate Director of Multidisciplinary Services Mary Lattas; and Filomena Novello, Coordinator of Hospital Rehabilitation Services and Technical Aids Support for Constance-Lethbridge Rehabilitation Centre. 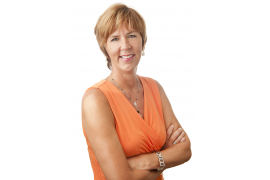 “Everyone providing care along the stroke trajectory now belongs to one team. We may be based at different sites, but for all practical purposes we work alongside one another. The IPU is all about building a personal connection.” To do that, Ms. Karna explains, clinical and non-clinical team members reach out to one another regularly to discuss specific cases, whether over the phone, digitally, or in face-to-face meetings whenever possible. The process to strengthen the continuum of care for stroke patients predates the CIUSSS. It was formally set in motion in 2012, when the Health Ministry developed a stroke-trajectory strategy. Many bons coups within facilities caring for stroke patients followed in close succession. 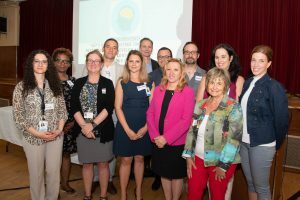 In 2013, the Richardson Hospital (a rehabilitation facility now belonging to our CIUSSS) was the first organization in Quebec to be recognized by the Accreditation Canada Stroke Distinction program. The following year, the-then Quebec Health Minister, Gaétan Barrette, visited the JGH as part of a plan to designate the acute-care hospital a secondary stroke centre. Always with a view to improving patient care, committees and work groups were created to nurture close collaboration between the JGH and yet another rehabilitation site that is part of our CIUSSS, the Constance-Lethbridge Rehabilitation Centre. These teams studied specific cases in which the client had not received the desired standard of seamless care, to identify weaknesses or gaps in the continuum. Their goal was to create the smoothest possible transitions by shoring up their communication with clients and exchange of information with colleagues. These early ties between teams across the sites were making headway with patient outcomes, attests Felicia Guarna, the CIUSSS Director of Rehabilitation. One notable improvement was in the reduction of the delay between the onset of stroke and in-patient rehabilitation, which dropped from 25 days to 18 days. In parallel, important improvements within the JGH itself were underway. 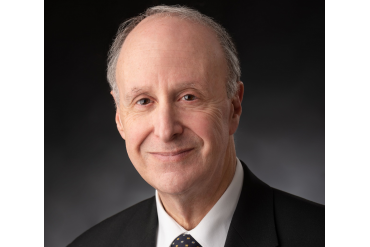 The Neurosciences Department directed its focus to providing stroke patients with the right care at the right time, delivered by the right healthcare professionals. The JGH acute stroke team attends the 11th World Stroke Congress, held in Montreal. 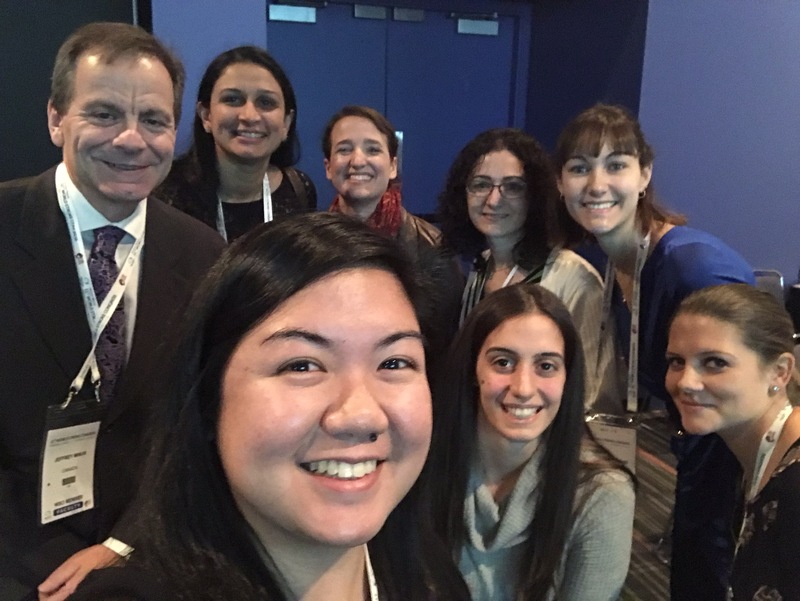 Rear row, from left: Dr. Jeffrey Minuk, Physiotherapist Reshmi Varghese, Speech Language Pathologist Mica Vincent, K10 Head Nurse Carla Jomaa and Speech Language Pathologist Melissa Bouchard. 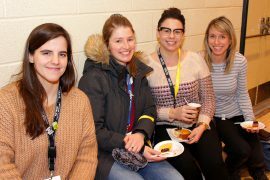 Front row, from left: Interim Stroke Team Coordinator Alyssa Pambuan, Physiotherapist Lisa Ricci, and Interim Nursing Clinical Consultant in Neuroscience Malgorzata Karna. To that end, in the year 2015 a quick-response notification system was put in place to mobilize all of the relevant JGH specialists (the stroke team leader, neurologists and a radiology technician) to treat an incoming patient the moment an ambulance pulls into the Emergency Department. By 2016, the JGH succeeded in becoming accredited by the government as a secondary stroke centre. As one of four Montreal-area hospitals to receive this designation, it offers a higher level of stroke care expertise and performance. The team earned this title by implementing measures that, similarly to the Code Stroke, placed the patients in the hands of the right people at the right time, so that they could receive optimal care. *A protocol is also in development for patients who have a stroke in the hospital on any of the floors, such as the Geriatric or Medicine units. 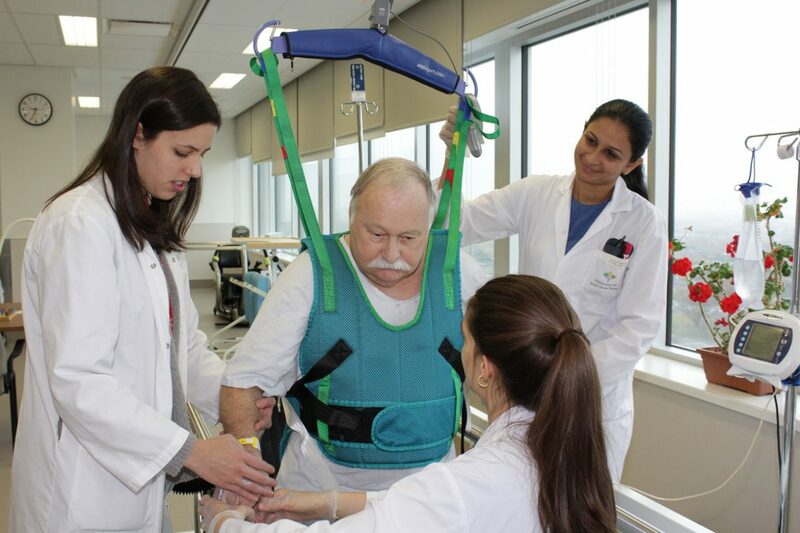 Today, a stroke patient on K10 receives a visit from a physiotherapist or occupational therapist within the first 24 hours following admission. If that timeline coincides with the weekend, they will now also be seen by an OT or PT. “We’re available to continue to treat patients in daily sessions,” says PT Reshmi Varghese, gesturing to a bright, airy and fully equipped room. These and other members of the inter-disciplinary stroke team based at the JGH—which also includes the stroke coordinator, nurses, a speech pathologist, dietitian and social worker—gather at the bedside with the patient and their family three days after admission. “It’s a really nice opportunity for them to ask us questions. They want to know, ‘Will I recover? What can I expect next?’,” says Ms. Karna. During the session, they formulate the Interdisciplinary Individualized Intervention Plan (PIII) to identify the problems caused by the stroke (for instance, the patient cannot move their left side); the objective, such as being able to remain seated at the edge of the bed without support for one minute; the required intervention to accomplish that goal, perhaps the strengthening of control over the trunk of the body; and finally, the team members that will help the patient to achieve this target, such as a physiotherapist or occupational therapist. “This meeting, early on, helps us to develop a customized plan together, to be sure that we take into account the patient’s expectations during their stay,” explains Ms. Karna. “We can make sure, to the extent possible, that we work with the patient and their loved ones toward those goals.” This might involve, for instance, the speech therapist and dietitian helping a patient who wants to focus on eating. Any major concerns for the day are discussed in morning ’bullet rounds’, which are attended by all members of the stroke team. The assistant head nurse, stroke team leader and neurologists perform daily rounds to review the progress of each patient, to troubleshoot any medical problems, and to prepare plans for discharge. Meanwhile, care for non-neurological medical conditions is provided by a group of dedicated general practitioners known as GP Neuro. If the patient has not suffered any significant impairments as a result of their stroke and does not have any serious complications, they will be discharged home. In the three-to-six-month period following discharge, the patient then visits the clinic to further discuss any concerns, such as how to manage their return to work. At this time, the nurse will conduct a screening for the presence of fatigue, as well as for depression to catch the one of every three patients at risk in the two years following their stroke. In addition to carrying out reassessments, the nurse directs patients to any frontline services within the CIUSSS that might be helpful to them to manage their condition, such as smoking-cessation programs.